Note: This post originally appeared in The Toronto Star. Story by Vanessa Lu. Photo by Waldo Swiegers / Waldo Sweeney. From maximum rental time periods to tax obligations, here are 5 recommendations spelled out in the MaRS Solutions Lab report. Home-sharing is becoming popular as travellers opt for a chance to live like a local. But it’s not without controversy, as neighbours complain about wild parties or disruptive short-term renters. The MaRS Solutions Lab report spells out specific recommendations around home-sharing, with an emphasis on ensuring that only primary residences are rented out. If it is a secondary property then it’s not sharing, but rather a small business, and other rules should apply. In Toronto, 30 per cent of hosts list multiple units on Airbnb. Clear thresholds are needed to ensure home-sharing doesn’t become a full-time business. Set a maximum 180 days that a home can be rented out in a year, so it is less than 50 per cent of the time. Ideally, if the same thresholds were used across different municipalities, it would lead to higher levels of compliance. The new time limit could be introduced during a 12-month probation period to determine if it works, and then make it official. Condominium boards are requiring short-term rentals to be a minimum of six months or as much as 12 months to shut down home-sharing. But these restrictions simply send this business underground, with surreptitious listings posted at night when property managers aren’t screening sites. Consider lowering the current threshold of 80 per cent to overturn a condo bylaw, to help facilitate pilot projects to be implemented. Under existing rules, HST only needs to be charged on a home rental if a service is offered, such as daily linen service or breakfast. However, rental income is subject to income tax. The Canada Revenue Agency needs to communicate more clearly what the tax obligations are around home-sharing. Canada could consider adopting a similar policy to the United Kingdom, which introduced a room rental tax exemption to eliminate tax filings that are more costly than the tax collected. Hotel operators say safety regulation is necessary and important, but fire inspection processes can create frequent time and financial costs on businesses. Consider introducing a 12-month burden-reduction pilot to test out new approaches and improve communication of obligations, before rolling it out across the entire industry. No hotel tax exists in Ontario, but some communities have a voluntary destination marketing program, where the funds collected on hotel rooms go toward tourism promotion. Consider expanding this program to Airbnb hosts who wish to sign on. Or introduce a tourist tax for all short-term rentals, but ensure half of the collected taxes go toward tourism marketing. 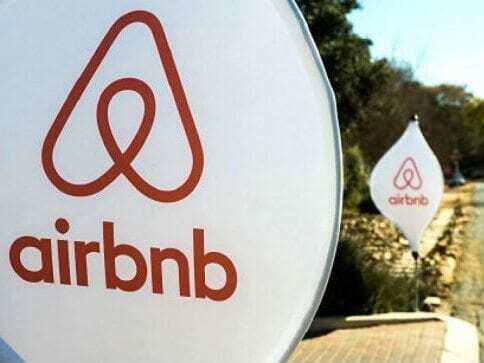 Platforms like Airbnb would be required to collect and remit funds.